I love travelling, that’s no breaking news. So, when I get some spare time and money, I’d rather travel than stay at home (which is a lovely place as well, by the way). 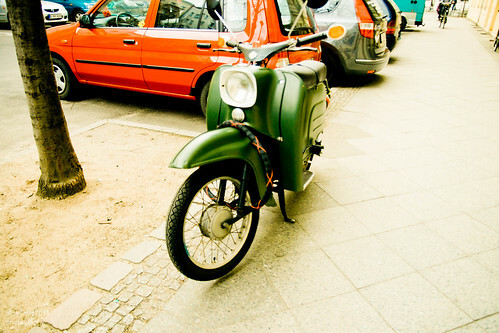 This month, the destination was Berlin, Germany. It was on my wishlist for a long, long time now and it totally met my expectations. Actually, it was better than my expectations! I was thinking it’d be a cold (human cold, I mean) and not that cheery, as very expensive, but my stay proves me totally wrong! It was like travelling on a budget, but having everything good living may get. I must go there again, I felt so happy there I didn’t want to come back home! There are some photos here and my website (aldasilve,net), if you want to check them out. 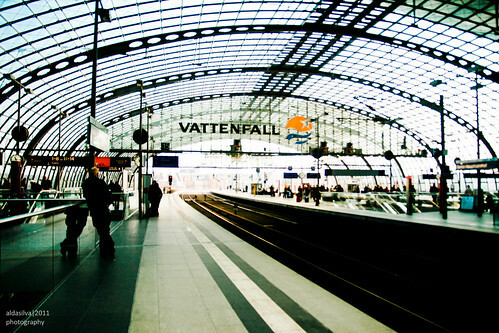 Hauptbahnhof a photo by Cats fall on their feet* on Flickr. Berliner. a photo by Cats fall on their feet* on Flickr.